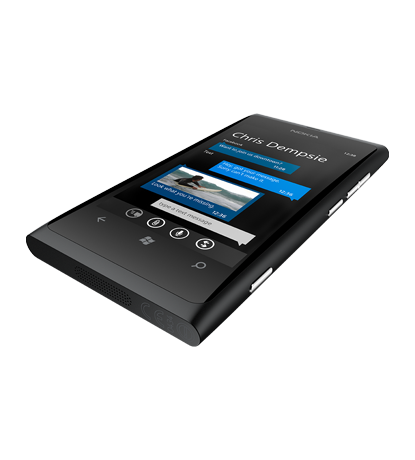 Finnish mobile phone manufacturer Nokia has opened up the pre-ordering of the new Microsoft Windows Phone 7 ‘Mango’ OS based Lumia 800 mobile phone, with a shipping date of early November. 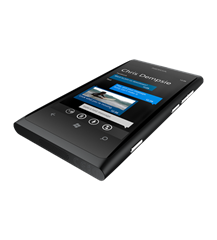 The Nokia flagship Lumia 800 was launched at the phone maker’s annual symposium, Nokia World 2011, along with the mid-ranged Lumia 710 – both of which are from the partnership with Microsoft, which sees the Seattle based software company’s mobile phone OS running these handsets, instead of the traditional Symbian platform. All of the UK networks have announced their intentions of carrying the latest WP7 phone, apart from O2 and T-Mobile – although the second part of the Everything Everywhere mobile phone network umbrella company, Orange, is making up for T-Mobile’s absence. Nokia is offering the pre-ordering staging ground on their own website here, with contract prices ranging from a £26 a month tariff with Vodafone and the Lumia 800 costing £199. The Nokia 800 is free on a variety of tariffs, starting with a £30 a month price tag on Three and an accompanying 500 minutes, 5,000 text message bundle and a 1GB data allowance. Orange has announced a 4GB Xbox 360 is being bundled in with the Nokia Lumia 800, for upgrading customers only. T-Mobile has made public the network will also be carrying the Lumia 800, in November.